In an increasingly digital research and scholarship environment, how do you distinguish yourself from someone with a similar name? If your institutional affiliation and/or contact information changes, how is the link between you and your scholarly work maintained? The solution is using a unique researcher ID. The ORCID identifier, short for Open Researcher and Contributor ID, is very quickly becoming the community standard among researchers across all disciplines. An ORCID is a 16-digit number assigned to you (registration is free) by ORCID Inc., an international, open, not-for-profit organization. Their stated aim is “to transform the research ecosystem by providing a registry of persistent unique identifiers for researchers and scholars and automating linkages to research objects such as publications, grants, and patents.” An “ORCID provides a persistent digital identifier that distinguishes you from every other researcher and, through integration in key research workflows such as manuscript and grant submission, supports automated linkages between you and your professional activities ensuring that your work is recognized.” See an example of an ORCID page here. Attach your ORCID to all of your stuff. 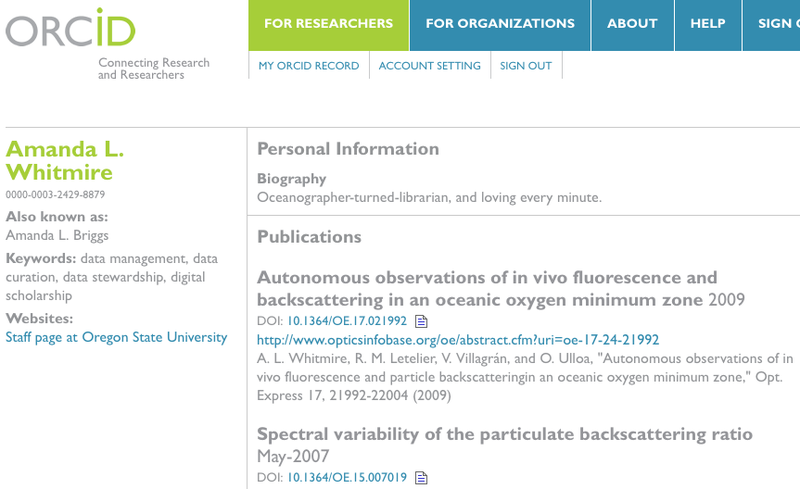 Link your ORCID with your Scopus Author ID (proprietary) and/or ResearcherID (proprietary) to synchronize your publication records. Include it directly in your author profile and contact information on all of your publications. Include it in your CV. Include it in your grant proposals and reports. Include it in the metadata of your datasets when you deposit them in repositories or publish them in data journals. ORCID offers you a way to link all of this disparate information and assure that it is attributable to YOU. “ORCID enables works, such as research papers published in scholarly journals, to be attributed to their rightful creator, despite any ambiguity over the author’s name. 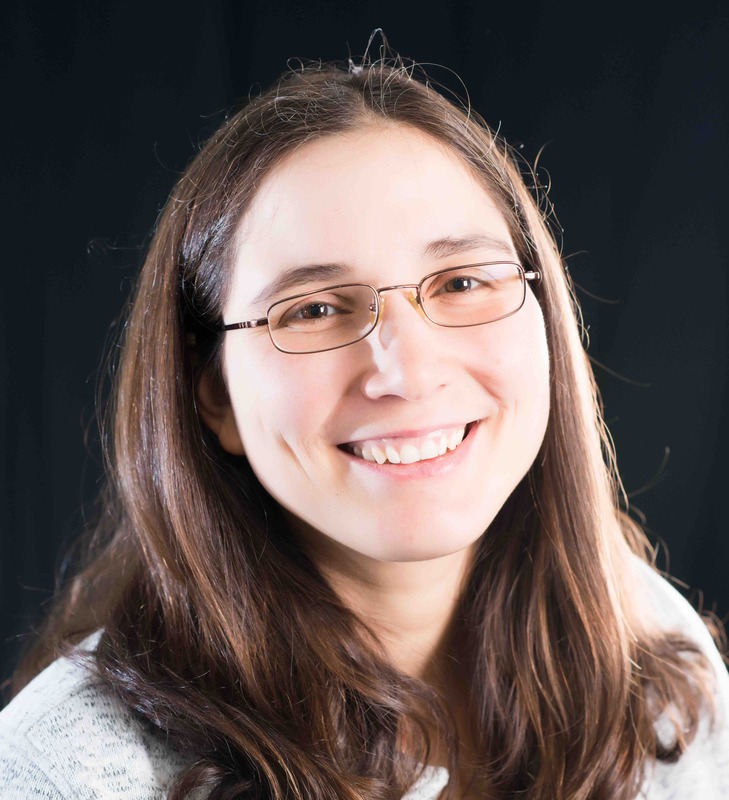 Ambiguity arises when different forms of a name are used for the same person, or when a researcher changes their name, or has a common name shared by many others. ORCID assigns a unique identifier to each researcher, thus overcoming this problem of name ambiguity. Enable researchers to keep track of their own work with funders, publishers and institutions around the world."